In the middle of this month the football season had begun once again. Yay for James but boo for Jessica. Don’t get me wrong, it’s not terrible, I can tolerate it but the only thing that keeps me going is the food. Usually when we’re watching, it’s in a bar or somewhere for me to have typical pub/bar food, but with this season starting at home, there was only one thing for it. Hot dogs and beer! 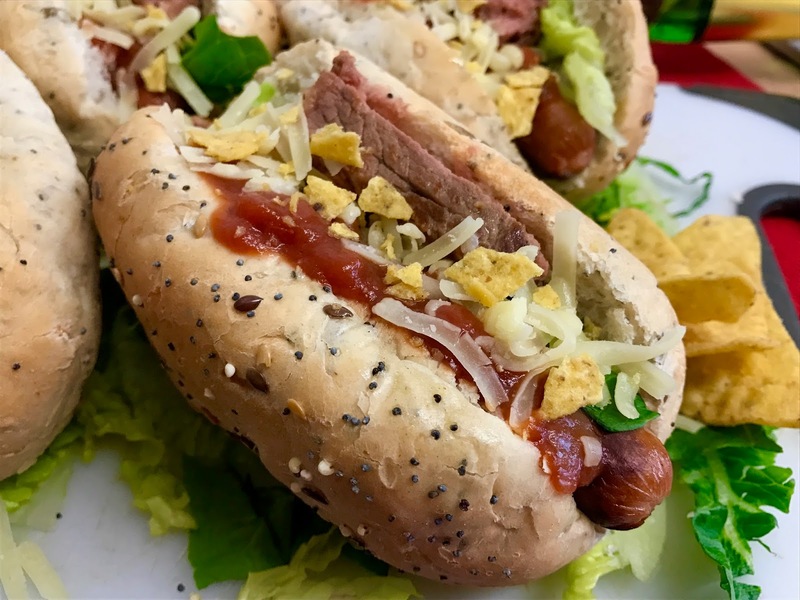 The joys of creating your own hot dogs at home is that anything goes, I may not have grilled onions but I do have some steak pieces and taco elements.. Can you argue with that? These aren’t paired with your typical beers either! 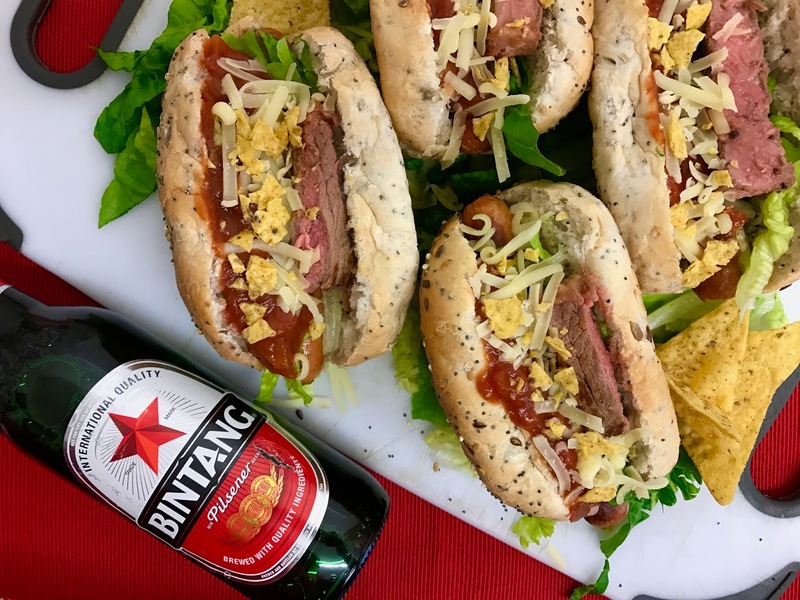 We’ve paired our steak taco dogs with Asia‘s top beers – Bintang* which hails from Indonesia, and Pearl River* from China. These have just launched for the first time in the UK market, so make sure to get your hands n them before everyone else. 2. Stir in the salsa; cook 1 minute and spoon over hot dogs in buns. Top each with 3 Tbsp. each cheddar and tortilla chips, plus shredded lettuce. Disclaimer: we were sent the complimentary beers* in exchange for a review. But as always, all our opinions and photos are our own. Oh what a naughty treat but very nice, I've never had steak and hotdogs before. I could easily adapt to make it dairy free. I definitely need to try these hot dogs! I definitely don't watch football voluntarily, with Jessica on this one. O.M.G. They look DIVINE!!!!! I've never eaten a hot dog in thirty two years because one made me vomit once as a kid but I may be converted after reading this! Stunning photography too!!!! Oh my goddd, these look amazing!! This recipe is definitely being kept somewhere safe! I'm not normally a fan of hot dogs but the picture you have of yours looks delicious! Thanks for sharing!